Young people pictured at a Newground project with the 2018 – 19 Mayor of South Kirkby, Councillor Denise Faulkner, last month to celebrate National Democracy Week. National Democracy Week took place from 2nd – 8th July and is a week-long celebration of democracy in society. 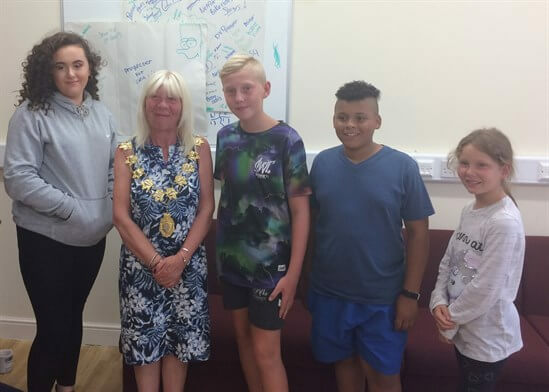 The young people, who attend the Newground Reachout community project in South Kirkby, were visited by the Mayor who spoke to them about her role and democracy.